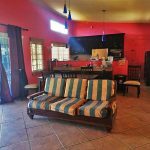 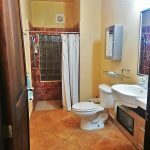 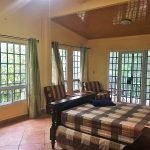 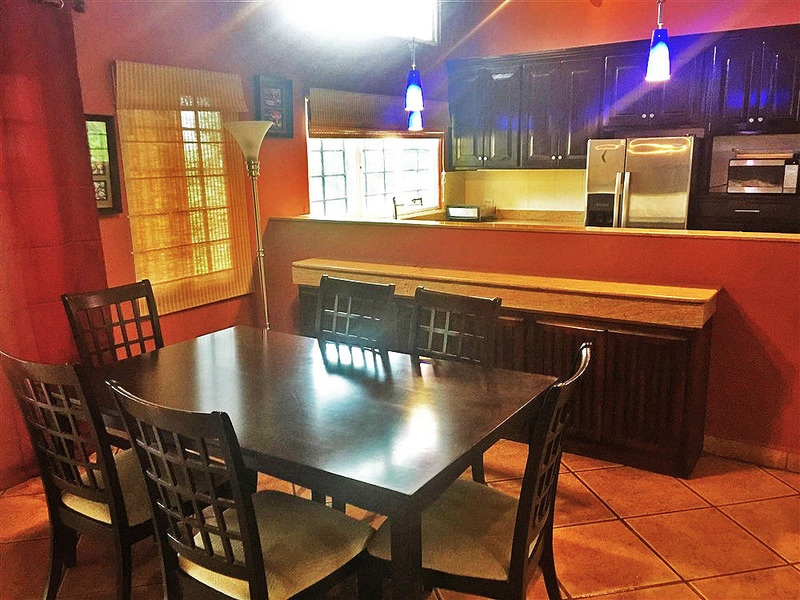 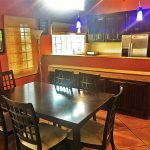 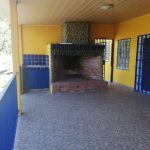 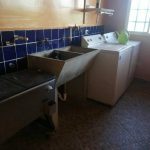 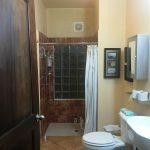 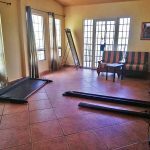 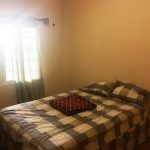 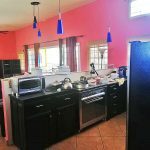 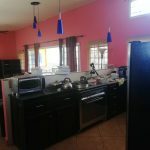 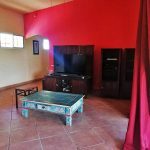 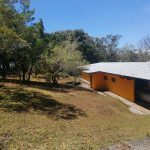 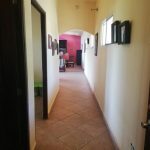 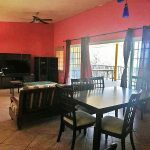 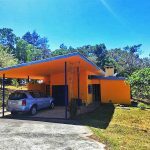 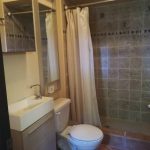 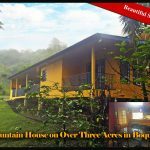 Just 15 minutes above Boquete’s downtown in a beautiful setting is this quality house sitting on a lovely three plus acres. 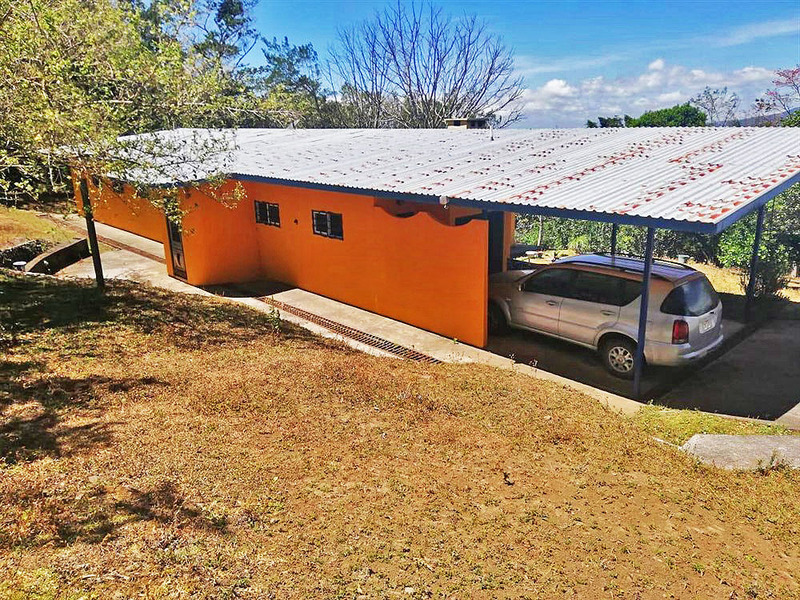 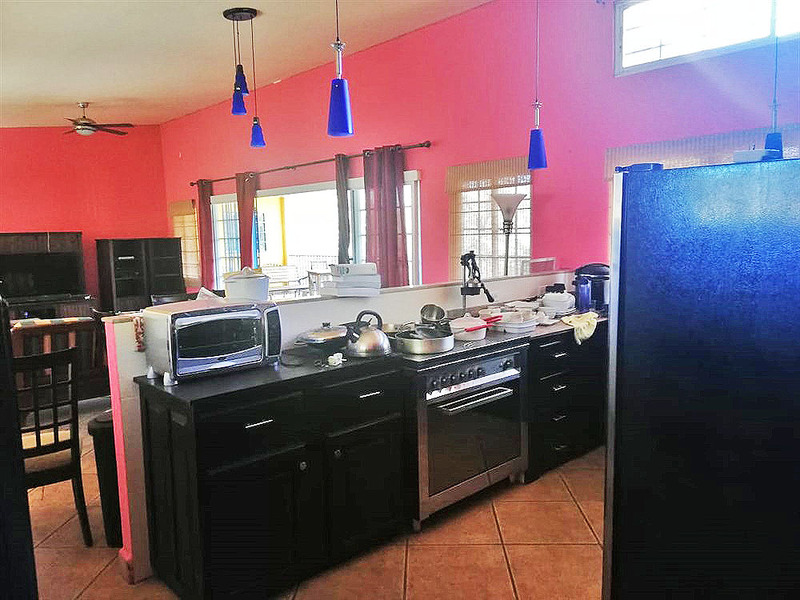 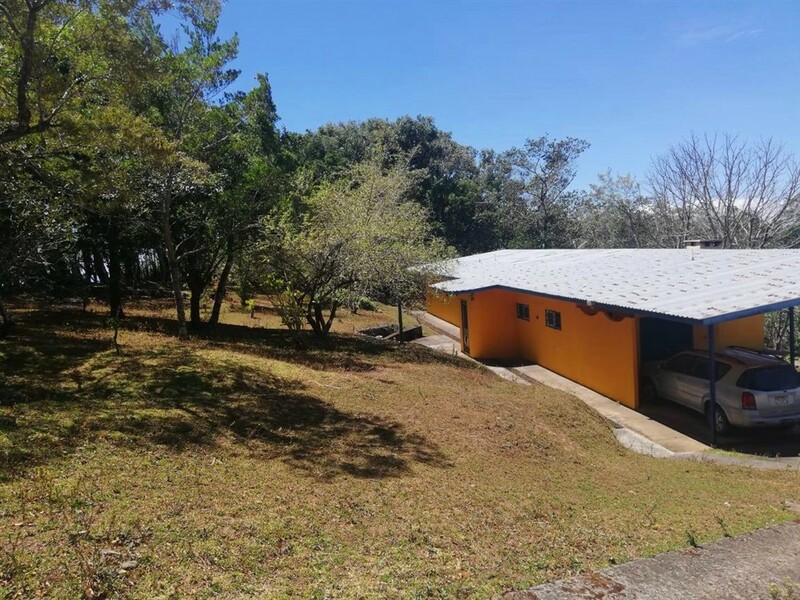 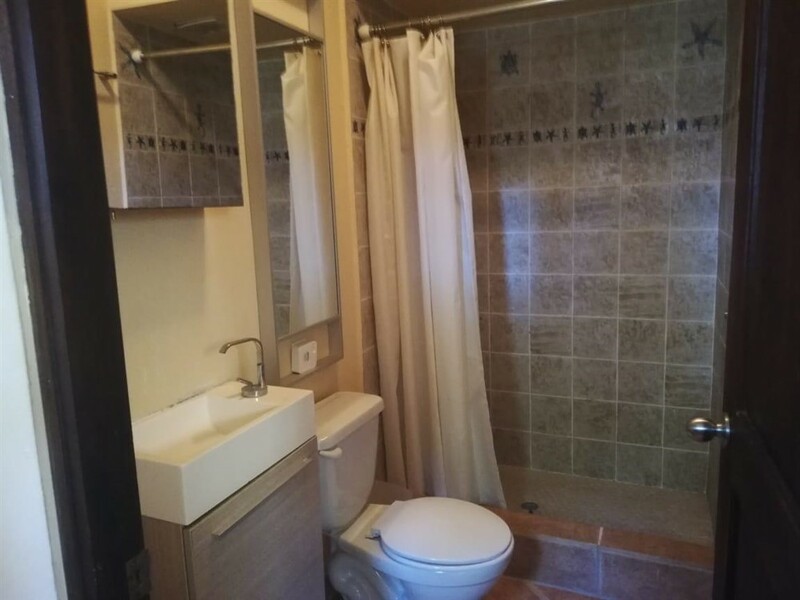 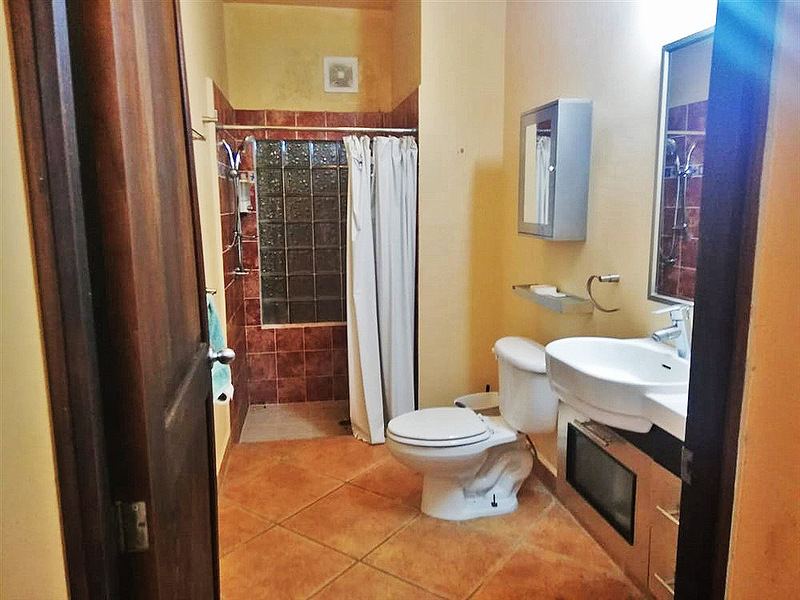 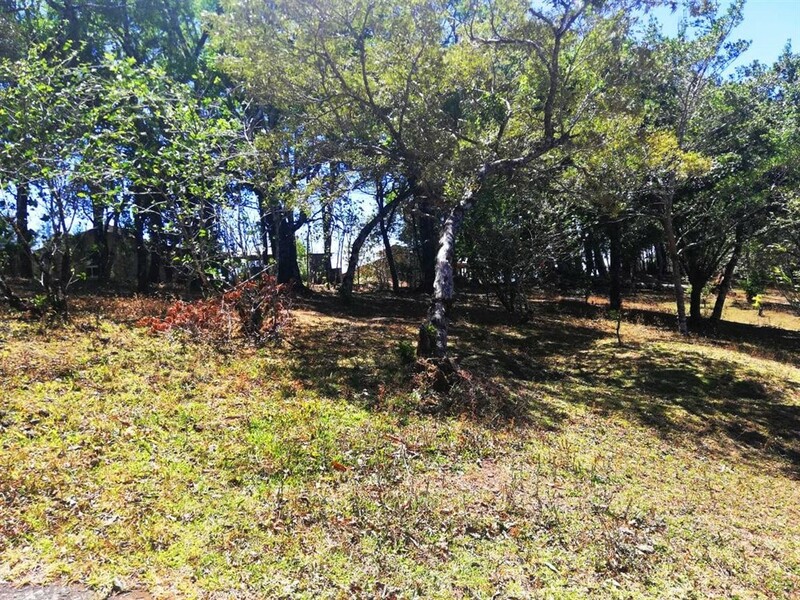 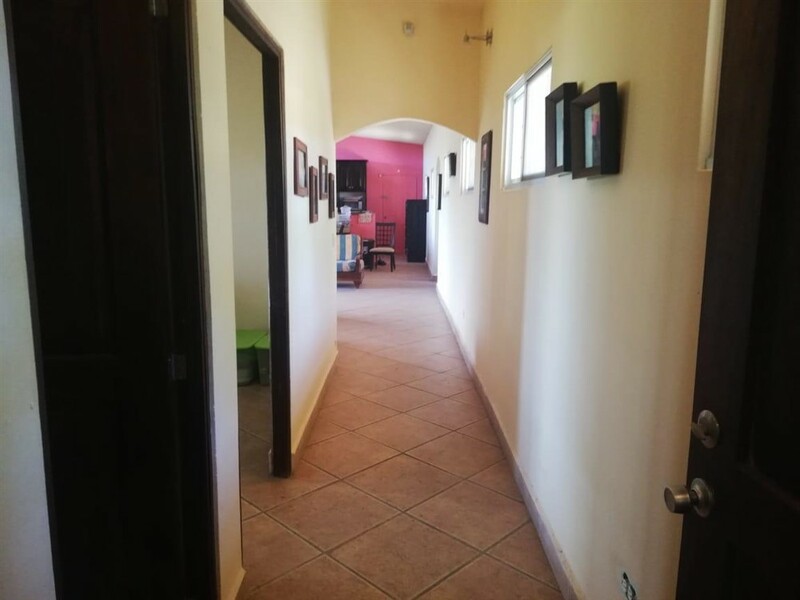 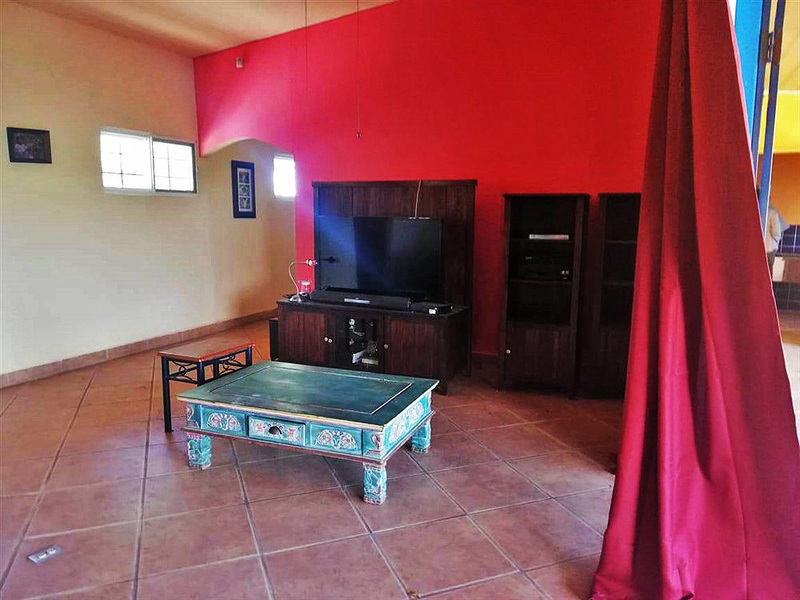 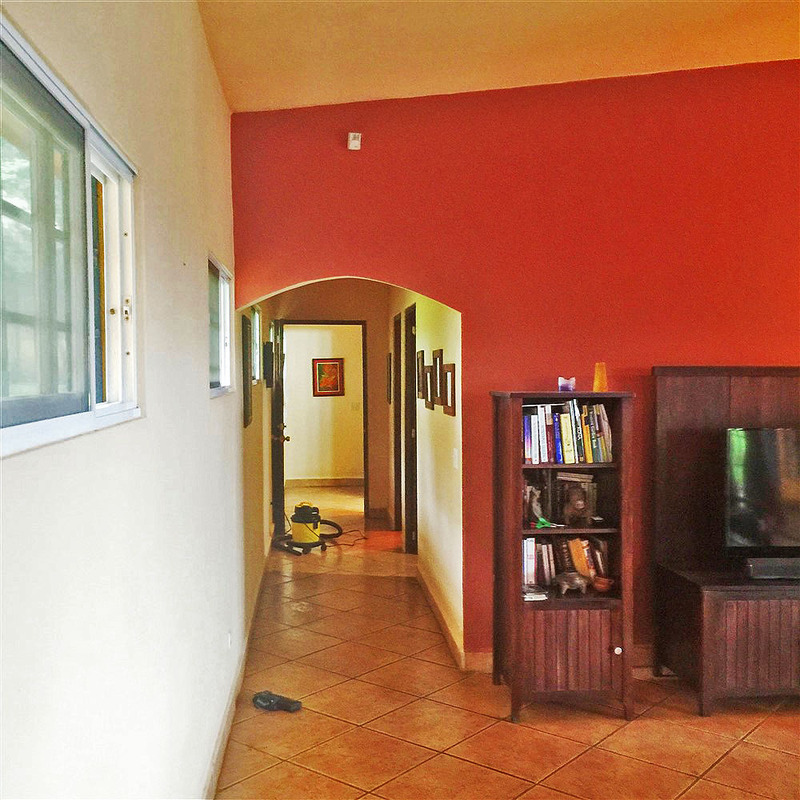 The property’s location, the many trees along the borders and the house’s placement provides privacy and a sense of solitude yet this house is located next to many fine Boquete homes and neighbors. 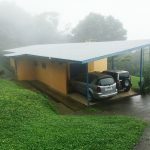 The house plan is designed to optimize use of the large covered terraces. 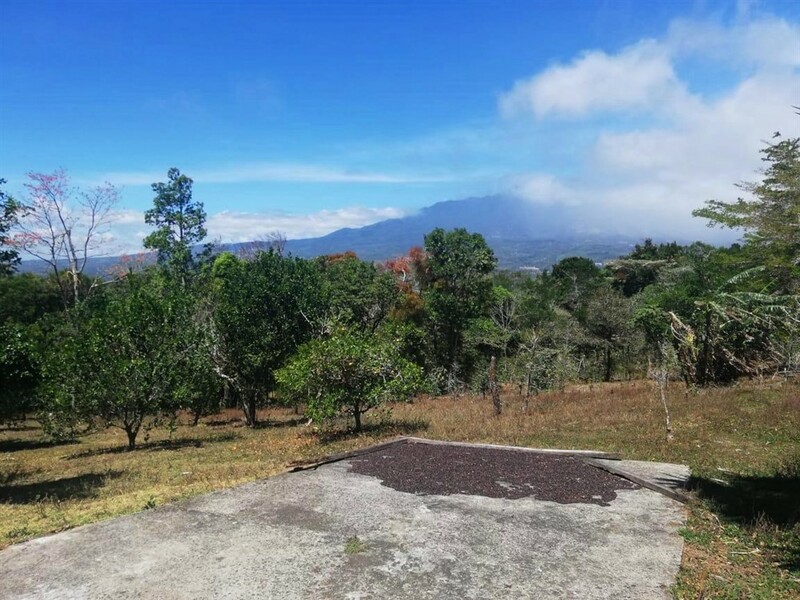 Their southern facing placement provide beautiful views as well as excellent protection from the strong seasonal breezes that Boquete sometimes experiences over a few months each year. 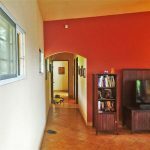 The interior of the home has lots of nice features. 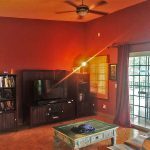 Large floor tiles, lighted ceiling fans and easy access to the outside terraces and an open floor plan make are enjoyable. 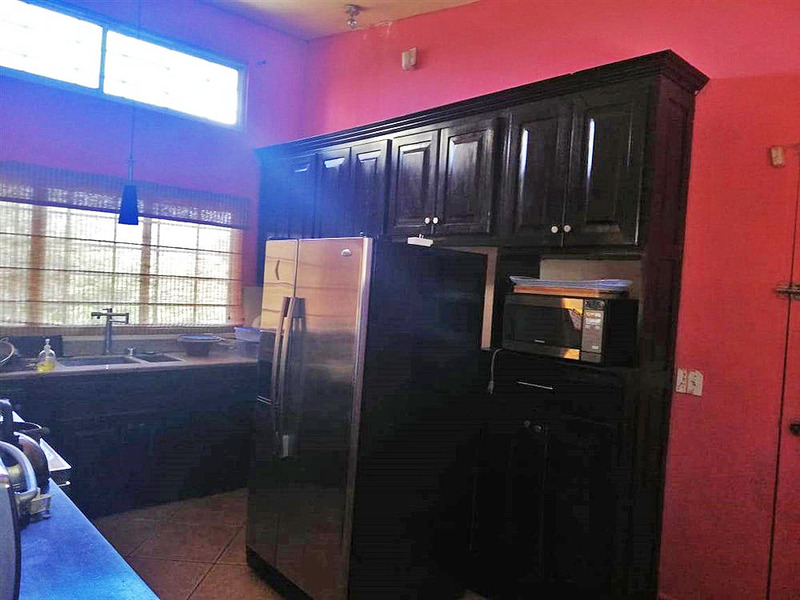 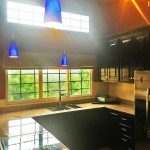 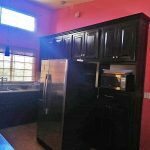 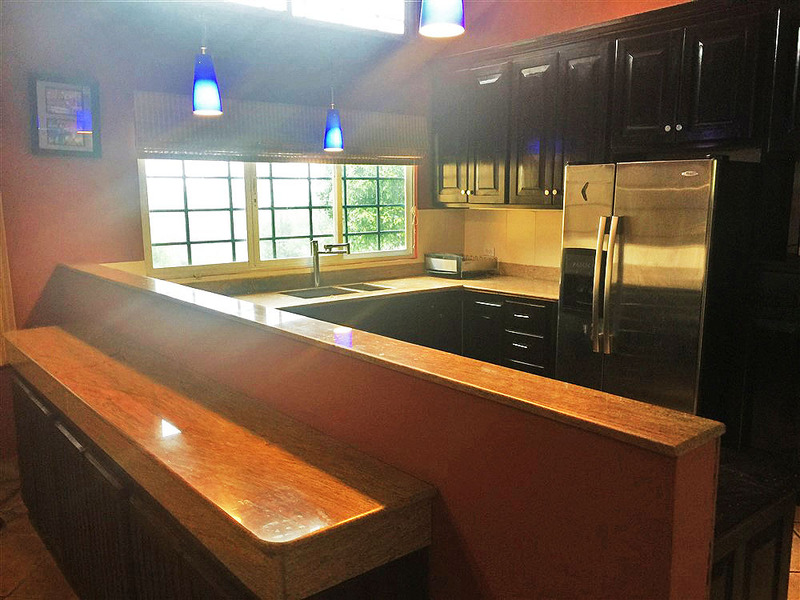 The kitchen has a double sink, nice appliances, high ceiling with light producing upper window and pretty dark custom cabinets. 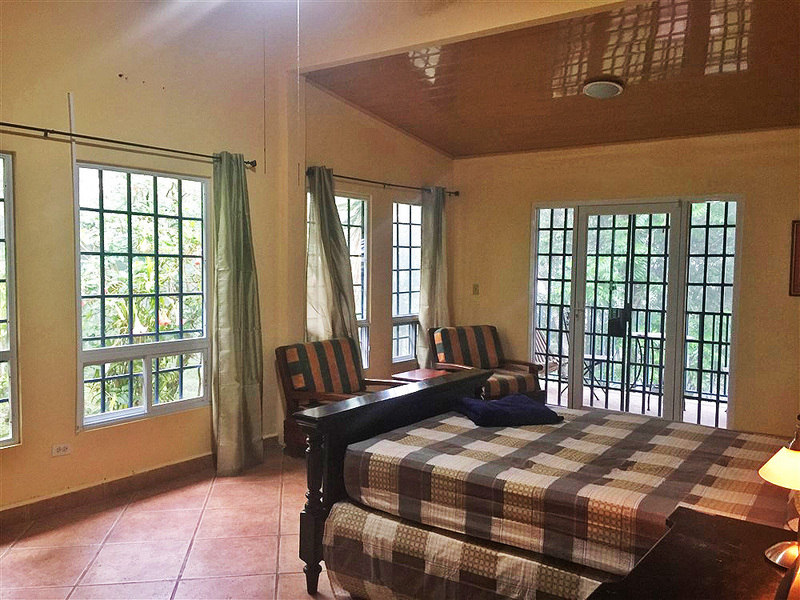 The master bedroom has lots of large windows. 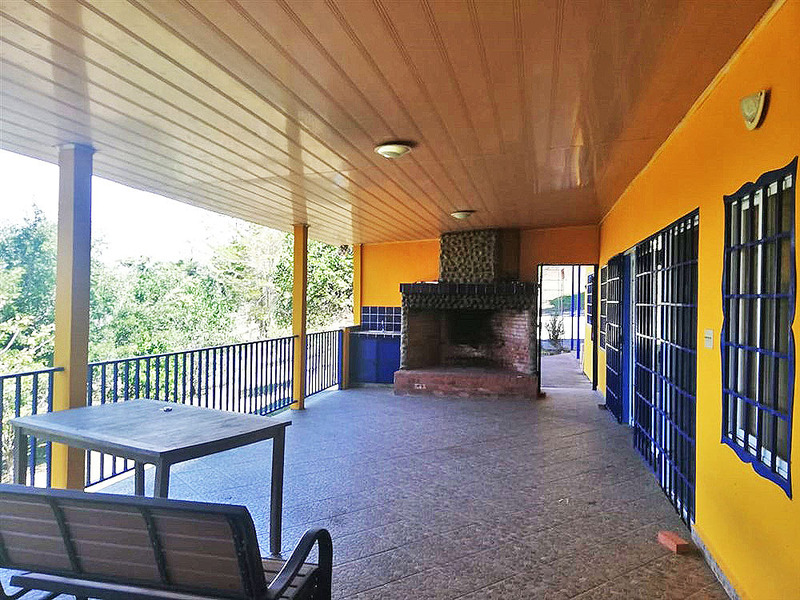 The master also has it’s own private terrace. 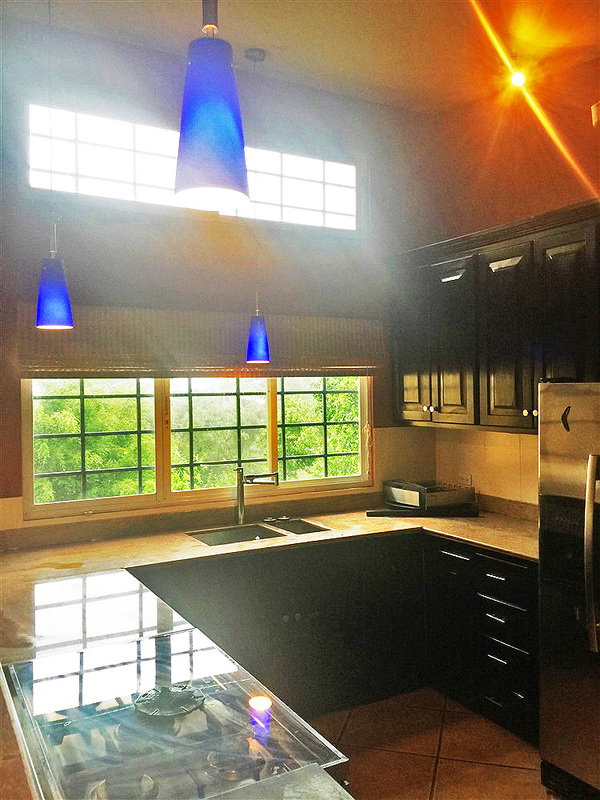 Ironwork on the windows provides peace of mind. 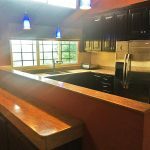 Tax exemption transferable to you as the new owner. 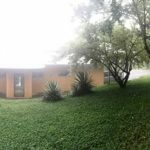 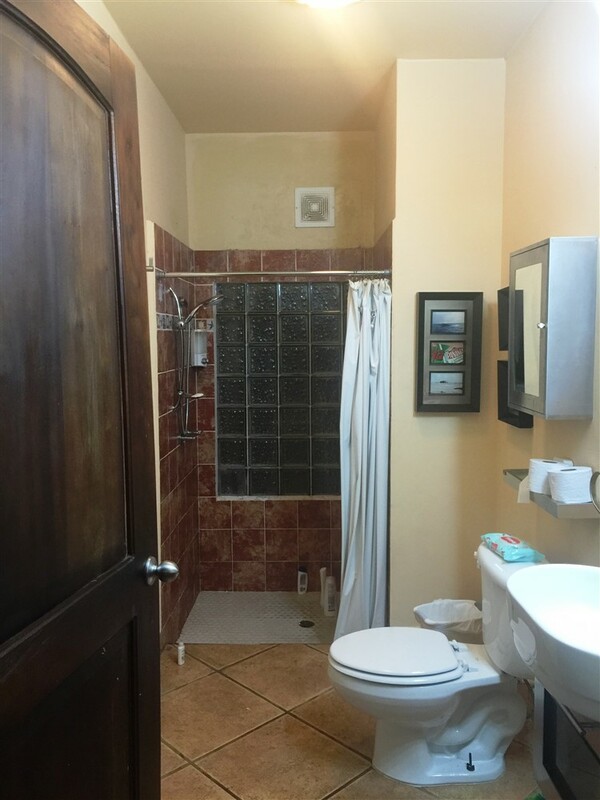 The lot that this house sits on is desirable and very large for the area. 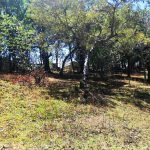 It has plenty of space for your gardens or many small homes, cabins or other development. 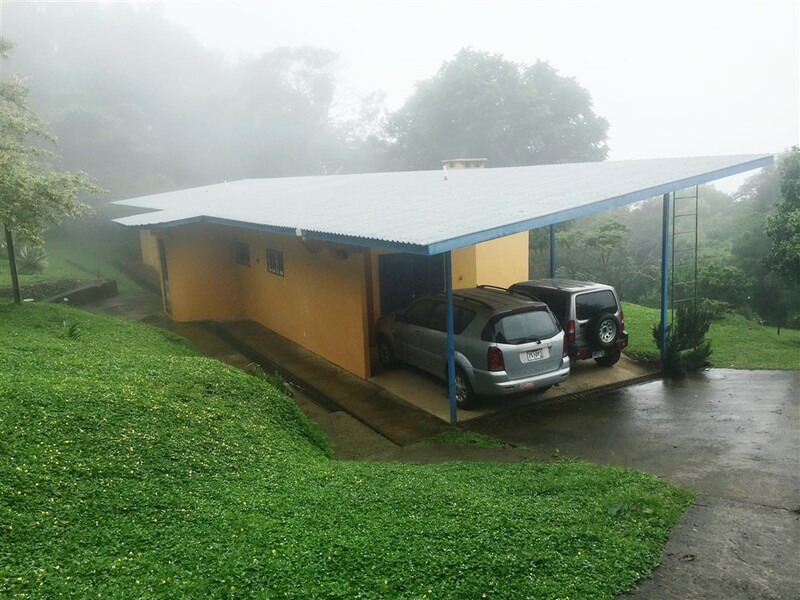 The microclimate in this location is cool as it is in the mountains above Boquete’s downtown. 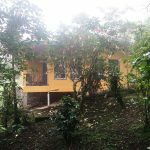 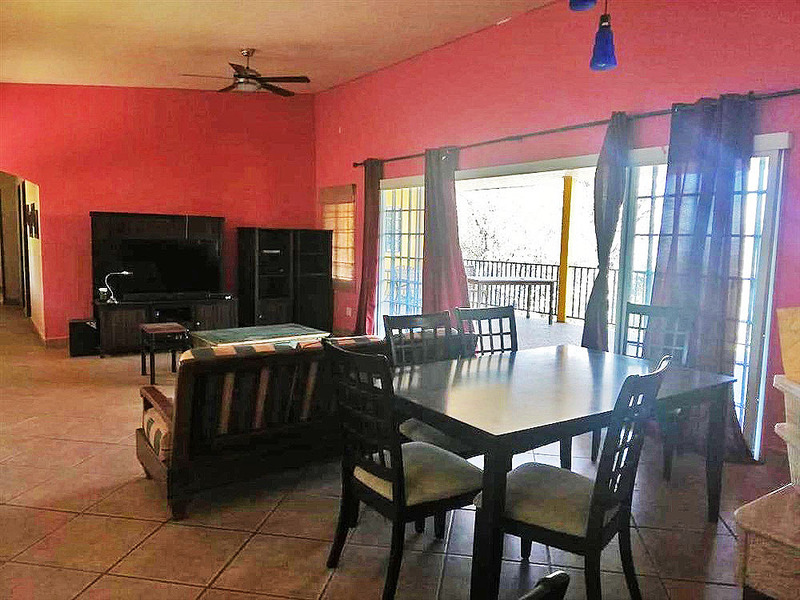 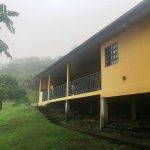 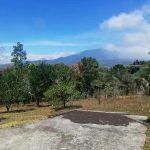 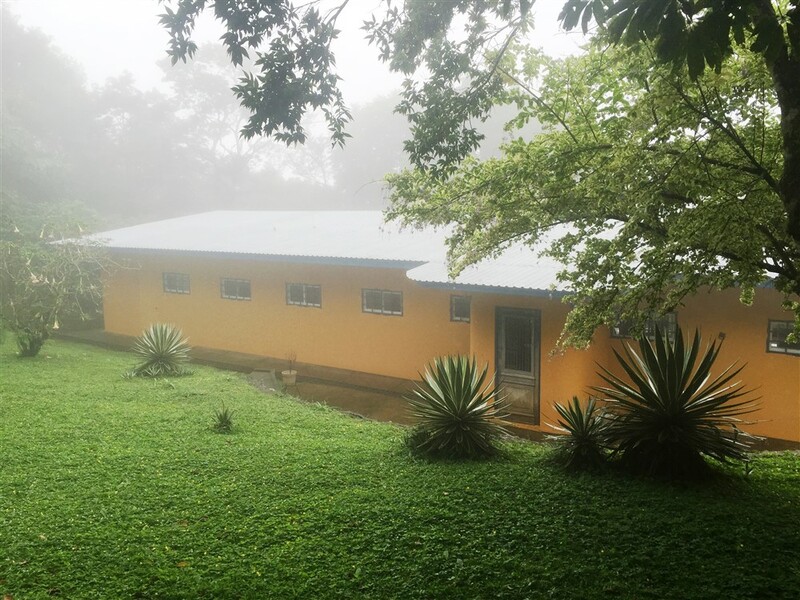 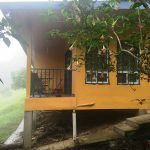 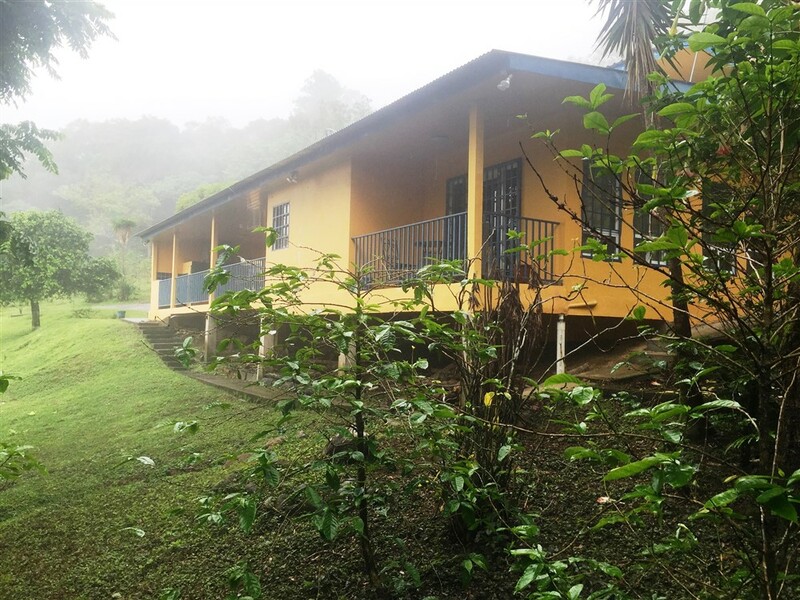 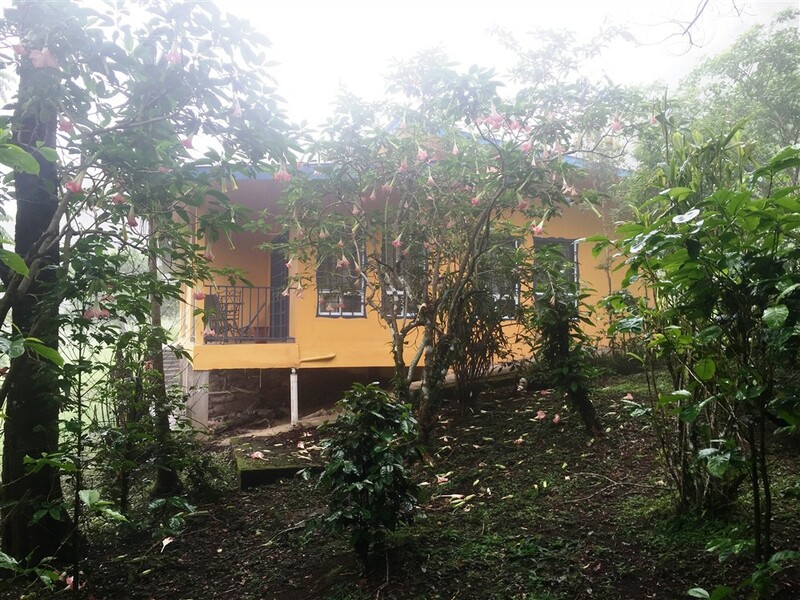 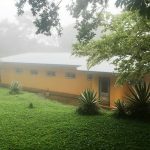 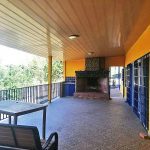 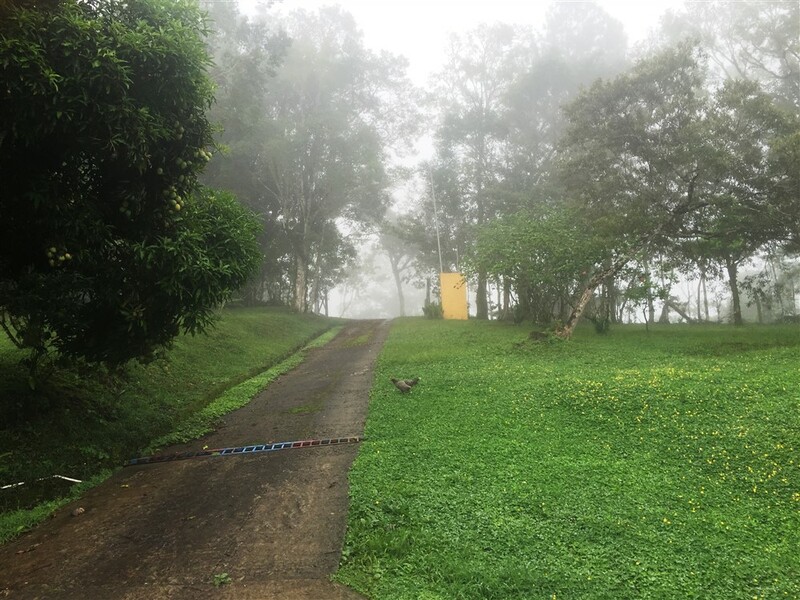 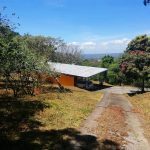 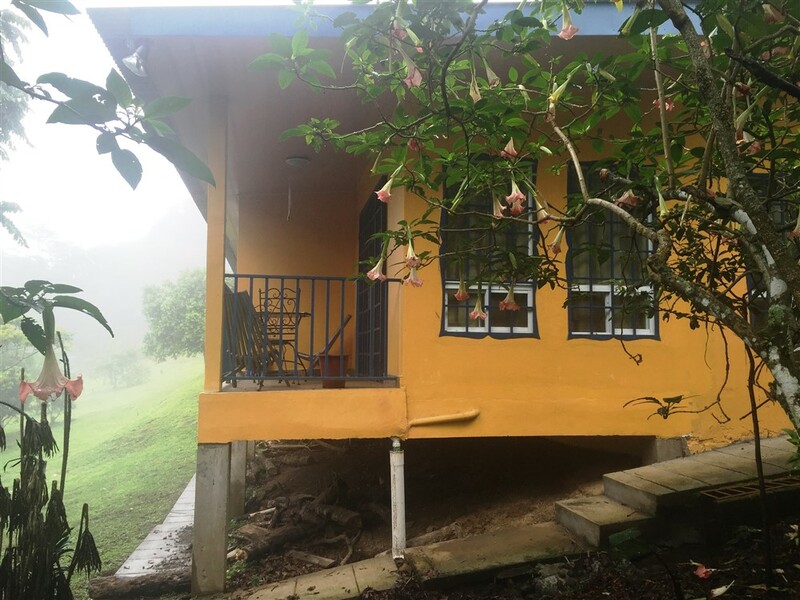 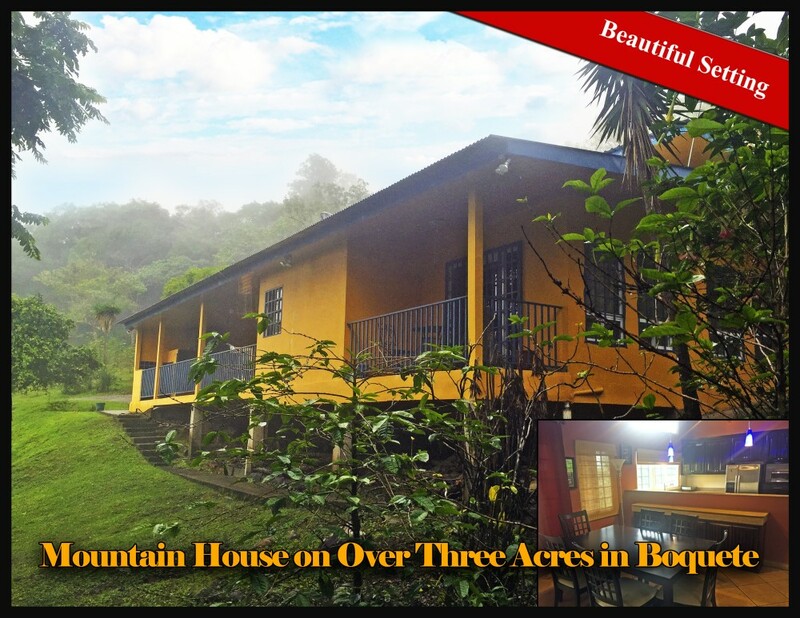 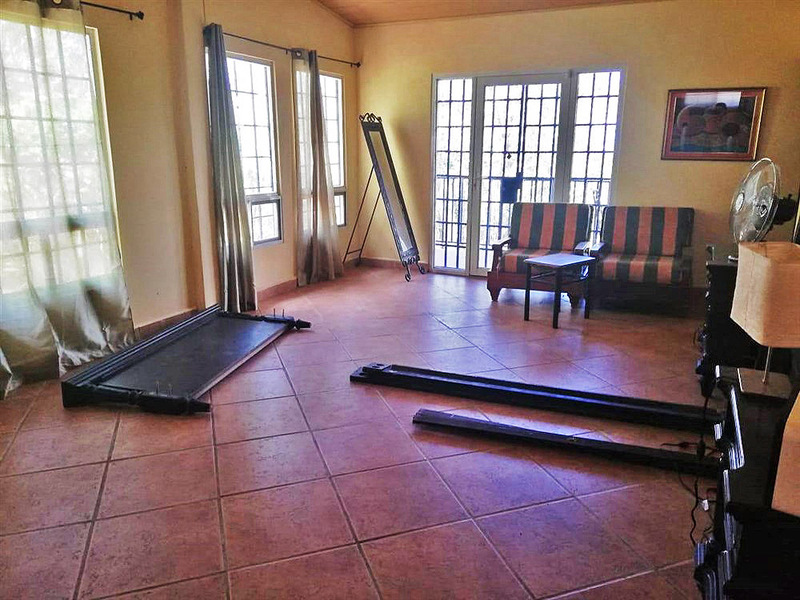 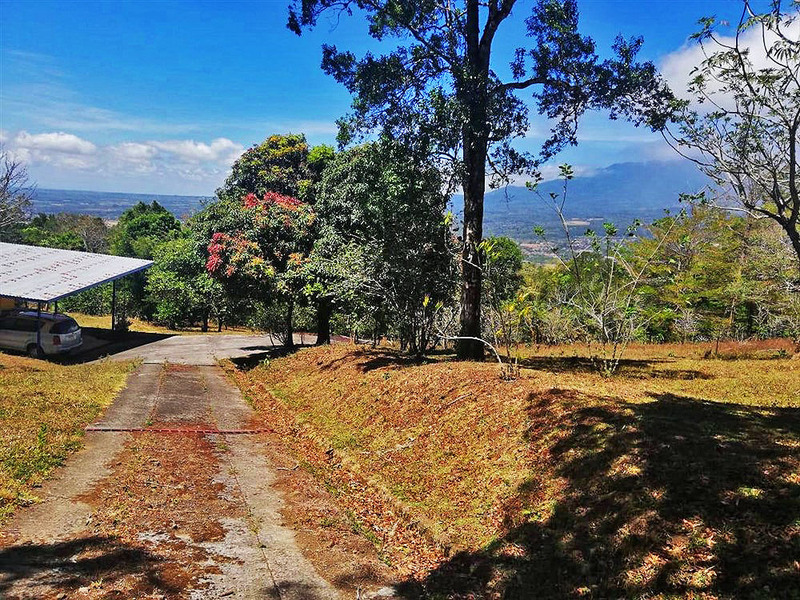 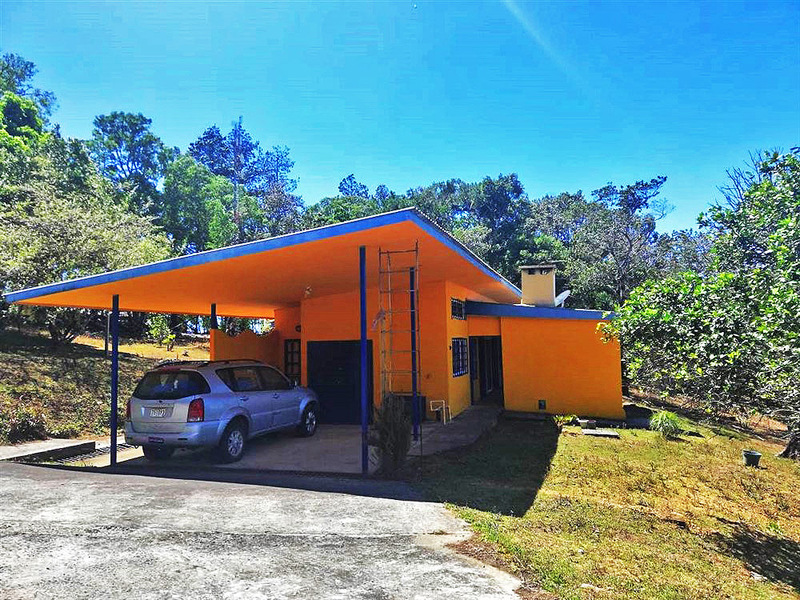 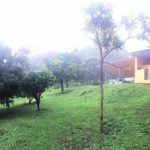 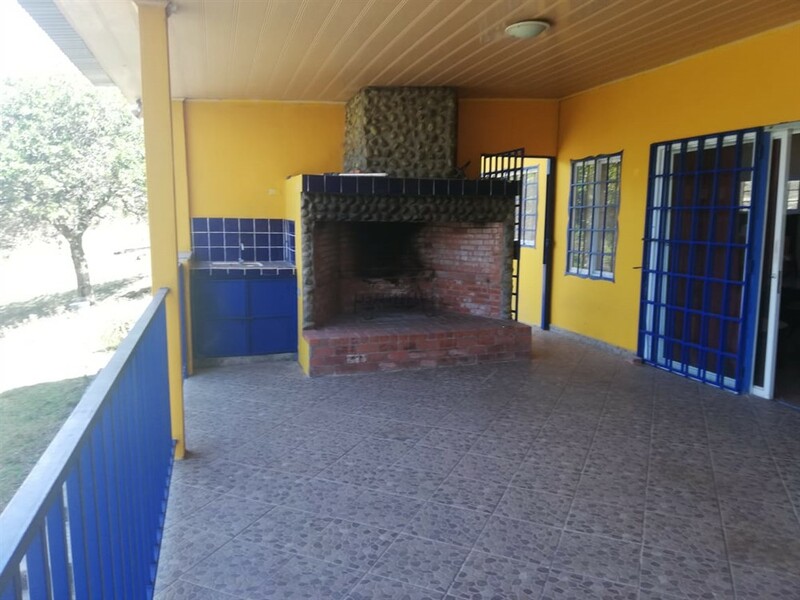 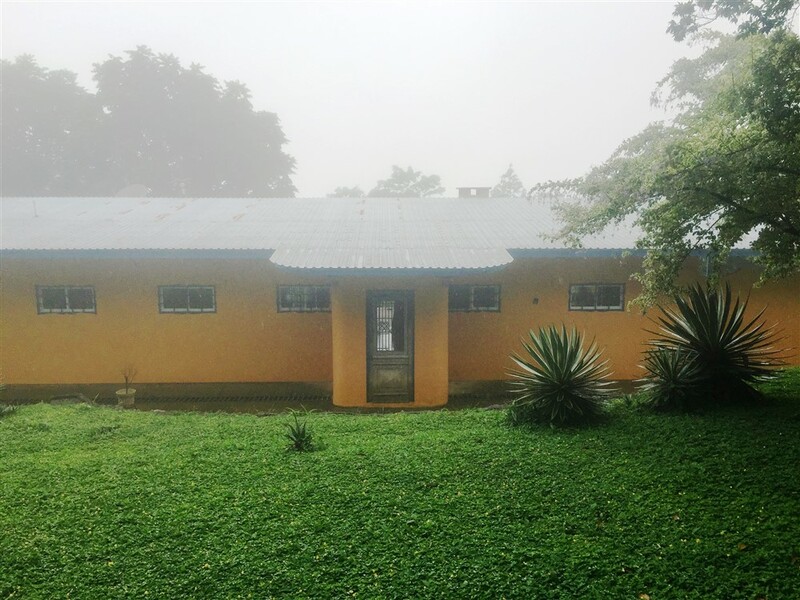 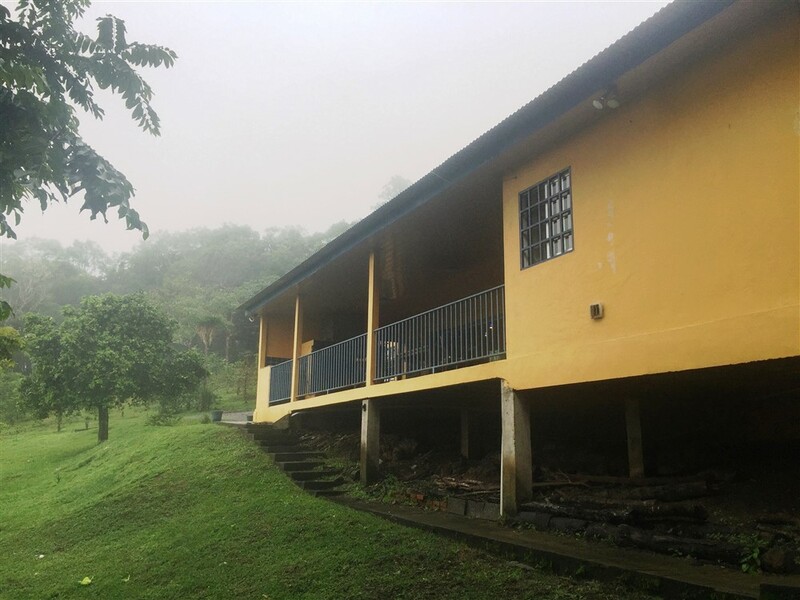 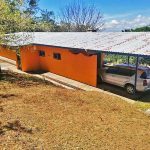 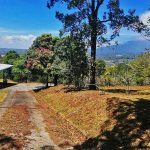 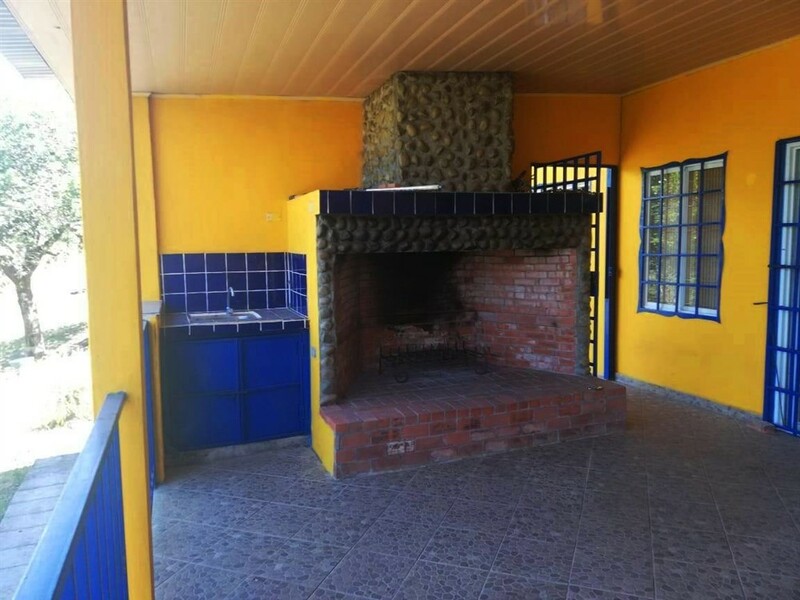 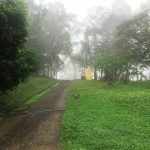 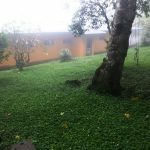 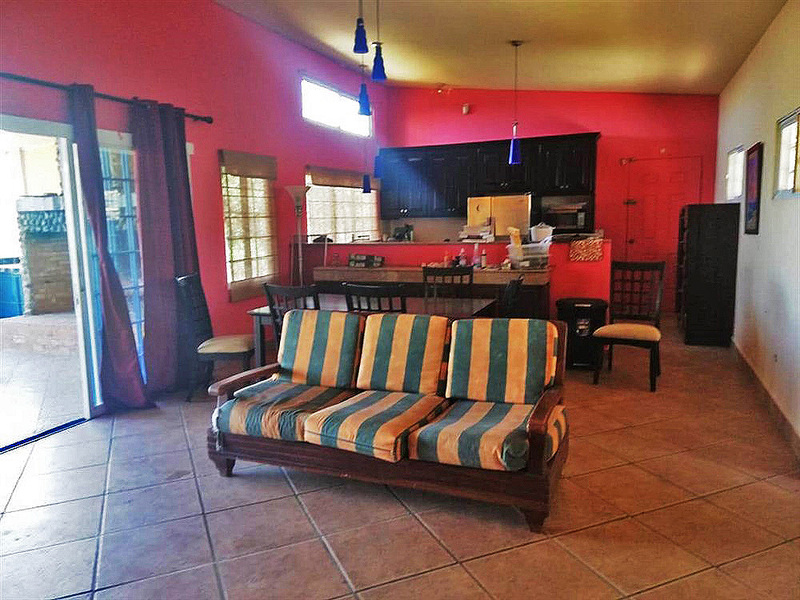 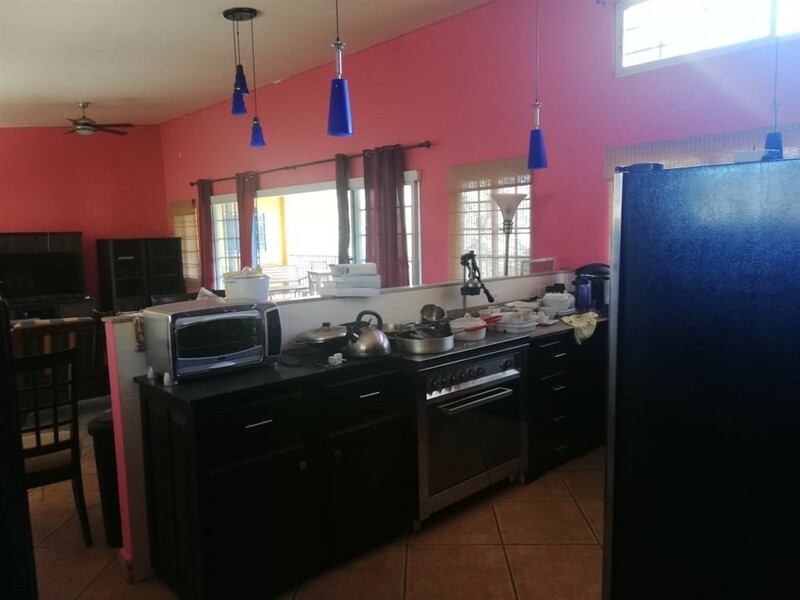 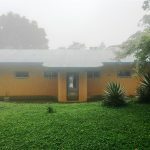 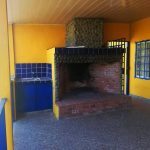 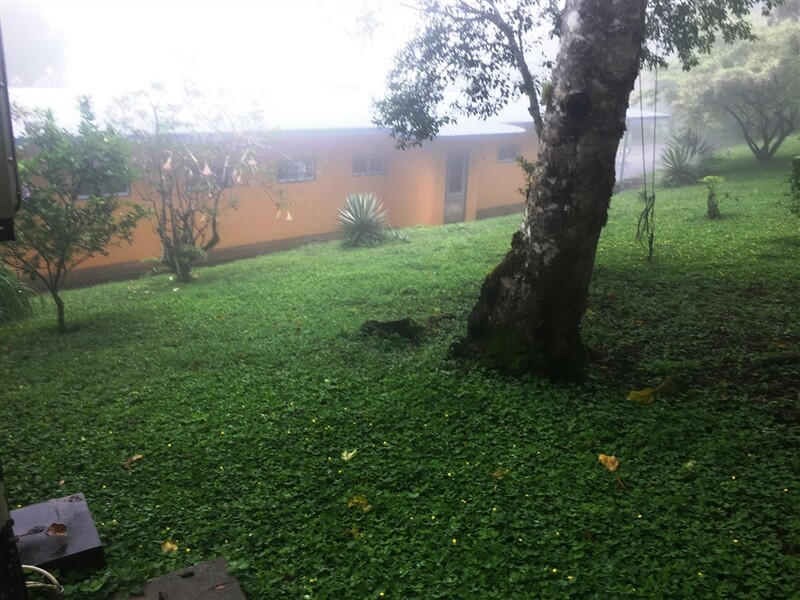 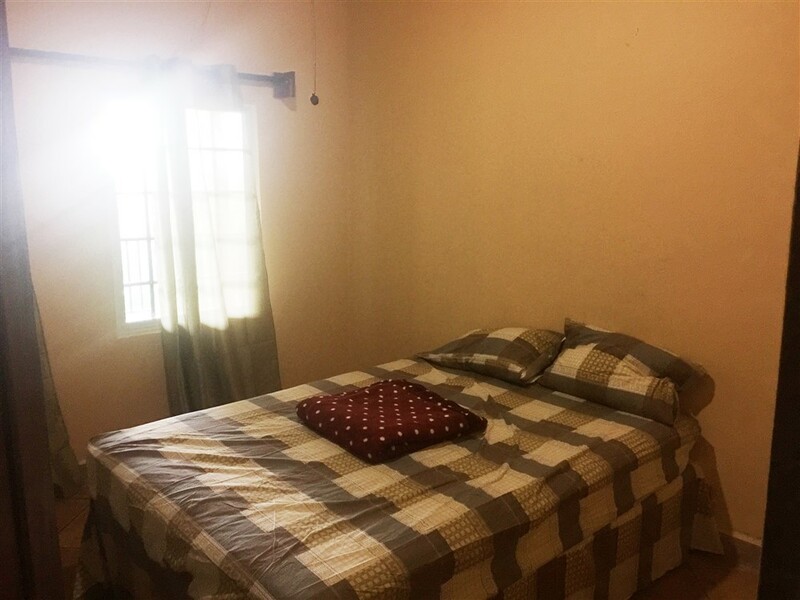 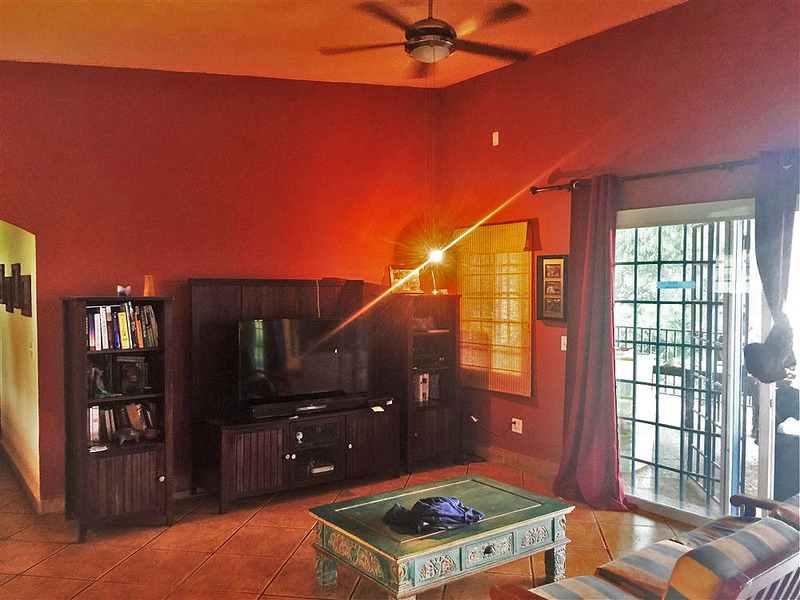 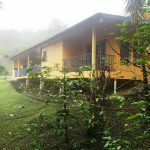 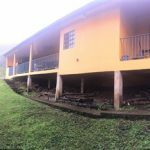 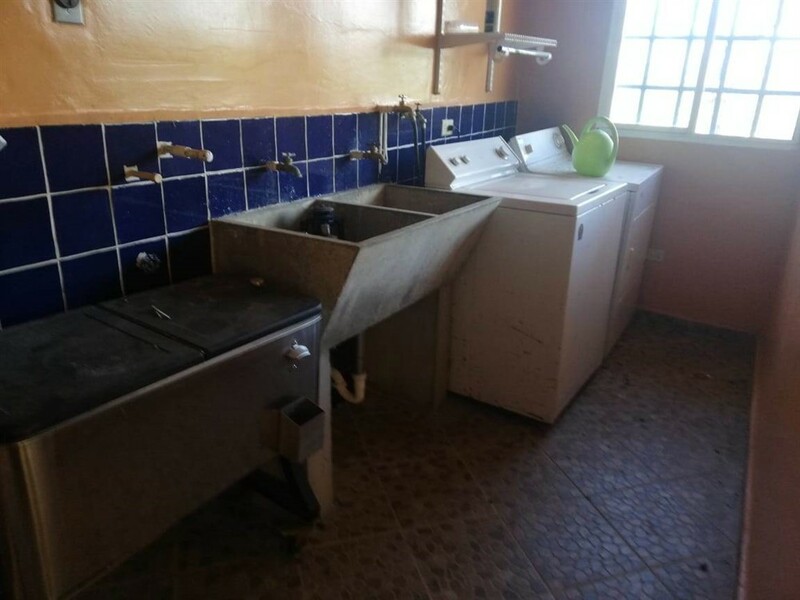 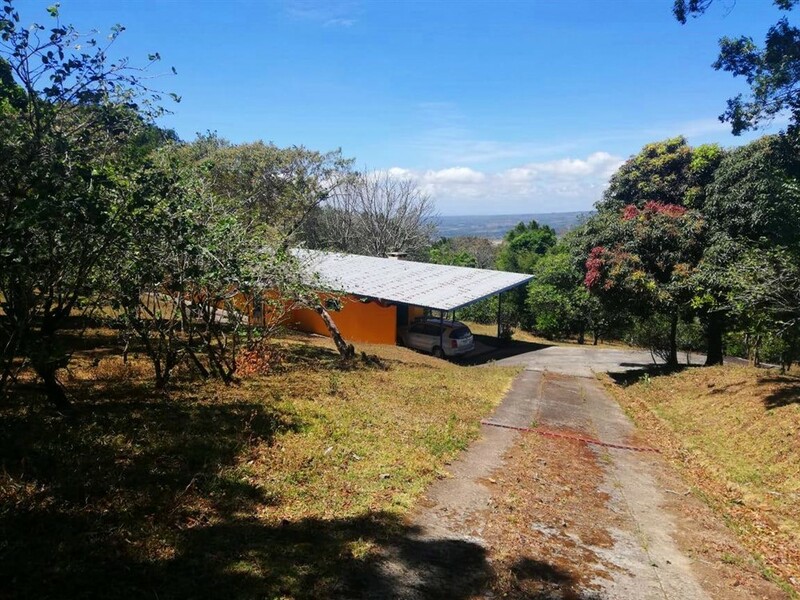 Please contact Casa Solution for more information or to visit this great mountain house for sale over three acres in Boquete, Panama.